Tanzania is a land of bustling cities, rich cultures and magical landscapes. Flanking the Indian ocean, it is home to the natural wonders of the Zanzibar archipelago, Mt Kilimanjaro and the Serengeti. Tanzania has a burgeoning population of over 55 million people and despite enormous need, cardiac surgery is very limited. 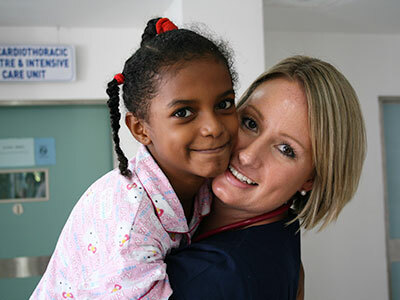 Twice a year, we send a handpicked team of Australian medical professionals to Dar es Salaam, an important port and the largest city in Tanzania. 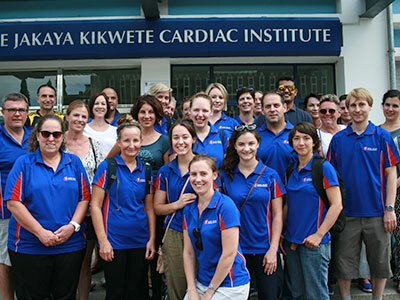 Our team arrive at the Jakaya Kikwete Cardiac Institute, a dedicated, not-for-profit cardiac facility, where they work alongside the local medical team to perform world-class surgery. Together, with great skill and dedication, they transform the lives of dozens of adults and children. Patients come from far and wide for treatment. Many parents and children have travelled by bus, sometimes for days. Many patients are desperately sick, presenting with complex pathology and advanced disease. 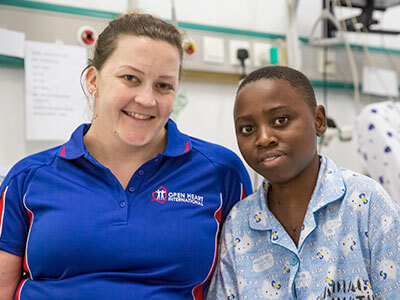 The case load in Tanzania is a variety of congenital heart disease, rheumatic and valvular disease, along with increasing numbers of coronary (ischaemic) heart disease. While some cardiac surgery can be performed independently in Tanzania, we help train the local team so that more complex surgery can be done. 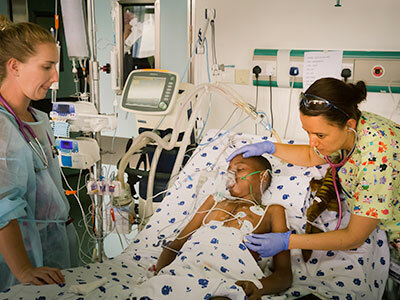 Cardiac services throughout East Africa are struggling for self-sufficiency, leaving Tanzania the main cardiac centre for a region of over 400 million people. This is reflected in a surging wait list, currently in the thousands, that will see many die while waiting for surgery. Given the volume of need, our focus is to support service development, independence and sustainability. With careful patient selection and intensive on-the-job training, we can pass on skills to the local team which will help them time and time again. While we save many lives during our visits, just as importantly, we enable many more lives to be saved long after we have left. With your help, we can continue to build an independent cardiac service for the people of East Africa. Three-year-old Anwar lives with his parents and siblings on a small island off the coast of Tanzania. Small for his age and tiring easily, Anwar’s parents were told their son had been born with a heart defect. Anwar’s parents, Ashura and Gharib, began a desperate quest to save their son. They sought help from the local hospitals where they learned that Anwar had an enlarged heart, a sign that something was seriously wrong. They were urged to take him overseas for treatment, an option they couldn’t afford. Ashura and Gharib were losing hope. Then they heard about the Australian medical team visiting the cardiac institute in Dar es Salaam. Gharib took Anwar by boat and bus to Dar es Salaam, where Anwar was diagnosed with a large ventricular septal defect, a serious hole in the heart. We are privileged to be able to help people in desperate need like Anwar and his family. Our help is only possible thanks to our generous supporters and volunteers – our Open Heart International family.